LAS VEGAS – A team of John C. Vanderburg Elementary School fifth-grade students and their teacher was recently announced as one of 11 national winners of the national Student Spaceflight Experiments Program (SSEP), in which schools across the nation competed for the chance to have their experiment conducted on the International Space Station (ISS). 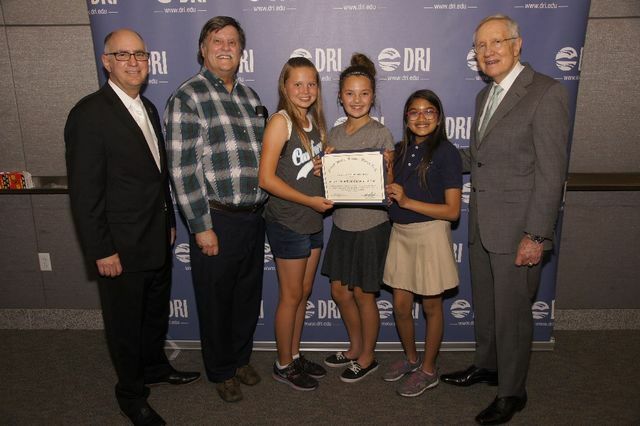 Clark County’s winning proposal, “Soybean Germination in Microgravity,” was submitted by Vanderburg Elementary School teacher facilitator William Gilluly and student investigators Shani Abeyakoon, Kendall Allgower and Avery Sanford. With the idea that soybeans could be used as a vitamin and nutrient-dense food source for astronauts, the experiment – which will undergo official NASA Toxicology Flight Safety Review beginning in Sept. 2016 – is designed to test the effects of microgravity on soybean germination and root structure. Results will help the student scientists evaluate the effects of microgravity on germination of seeds that one day might be useful as a source of food for long-term space travel. Vanderburg Elementary School teacher facilitator William Gilluly and student investigators Shari Abeyakoon, Kendall Allgower and Avery Sanford make up one of 12 national teams whose experiment will be conducted on the International Space Station. In the photo, they are celebrated by Sam Scimemi, Director of the International Space Station and Sen. Harry Reid (far right). Learning and activities around the microgravity experiments proposed by Clark County School District (CCSD) students from participating schools were part of the science and GATE (Gifted and Talented Education) lessons taught during an eight-week time frame, offering a valuable opportunity to engage students in authentic STEM (Science, Technology, Engineering and Math) experiences. The Vanderburg Elementary School team will work over the summer with local professionals to modify the experimental protocols, in order to make preparations for the flight that is scheduled to take place in early 2017. Astronauts will activate the experiment in space by releasing clamps and mixing the materials contained in a small tube. The completed experiment will be returned to the students upon its return back to Earth. Students will conduct the same experiment on land and compare results of the germination of soybean seeds in low gravity versus Earth’s gravity. In addition to the experiment competition, students at all participating CCSD schools were also invited to enter a mission patch design competition. Out of 3,500 submissions, two were selected as the best designs to represent Nevada and the school district, and will also fly to the ISS. The two winning patch designs were from Martha P. King Elementary School fifth-grade students Ella Morris and Julia Tregnan. The SSEP is a national STEM education program undertaken by the National Center for Earth and Space Science Education, a nonprofit organization that inspires the next generation of scientists and engineers by engaging their natural human impulse to be curious and explore. 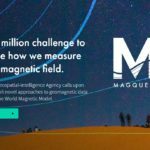 “If we as a nation are to compete in the 21st century, we must begin to teach science as a process of discovery, like science itself,” said Center Director Dr. Jeff Goldstein, adding that the student competition follows the approach used by NASA to select research projects designed by professional scientists. 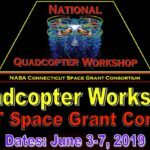 The SSEP ( http://ncess.org) is undertaken by the National Center for Earth and Space Science Education (NCESSE) in partnership with NanoRacks LLC. This on-orbit educational research opportunity is enabled through NanoRacks LLC, which is working in partnership with NASA under a Space Act Agreement as part of the utilization of the International Space Station as a National Laboratory. For more information, please contact CCSD School-Community Partnership Coordinator Cheryl Wagner at (702) 799-6560 or caw565@interact.ccsd.net.